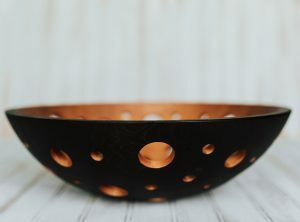 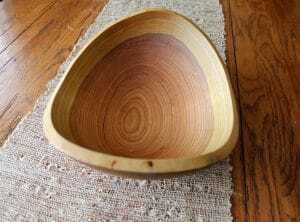 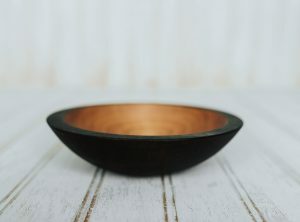 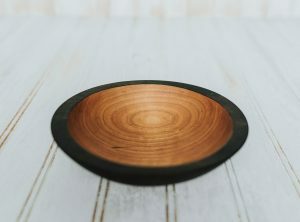 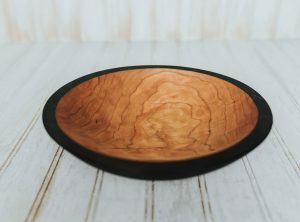 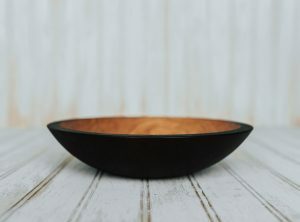 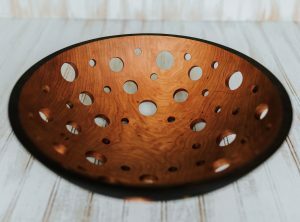 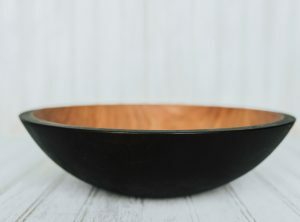 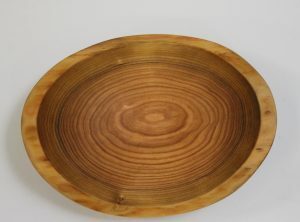 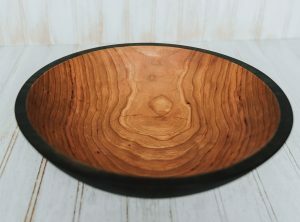 Each bowl is hand-dipped in food-grade mineral oil and individually rubbed in Bee’s Oil. 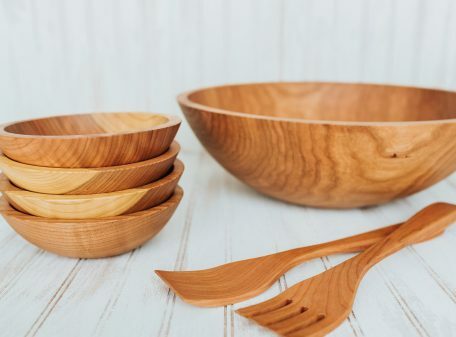 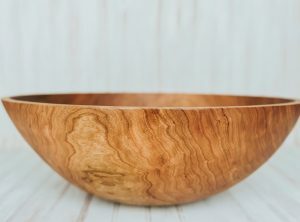 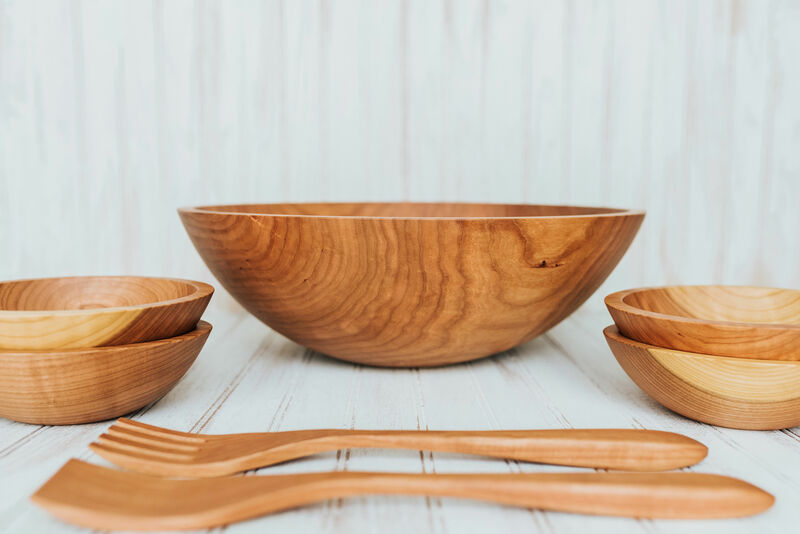 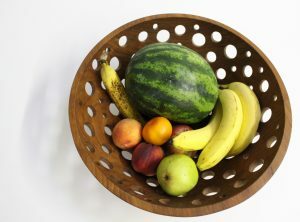 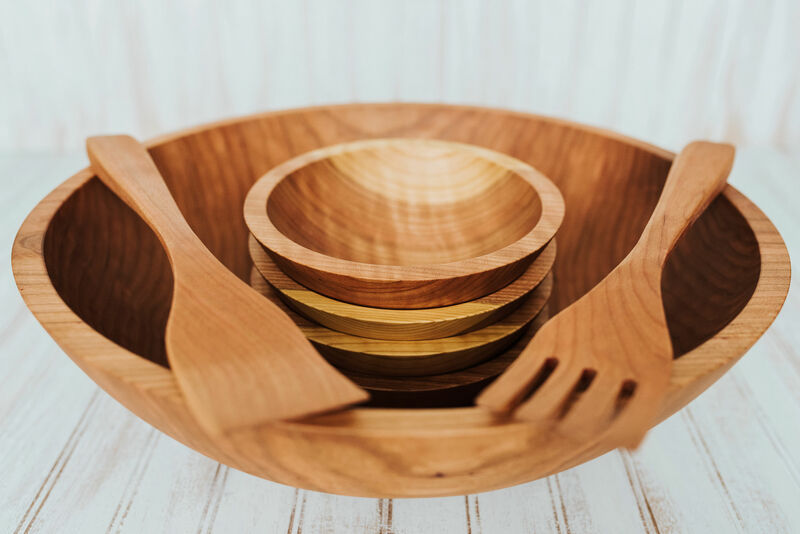 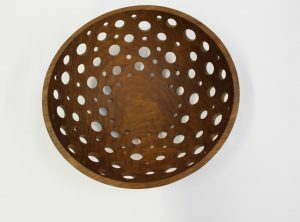 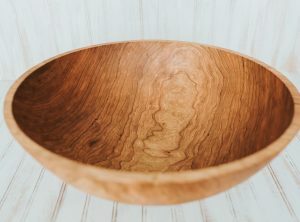 Our solid Cherry wooden bowl set is turned by the craftsmen at the Holland Bowl Mill. 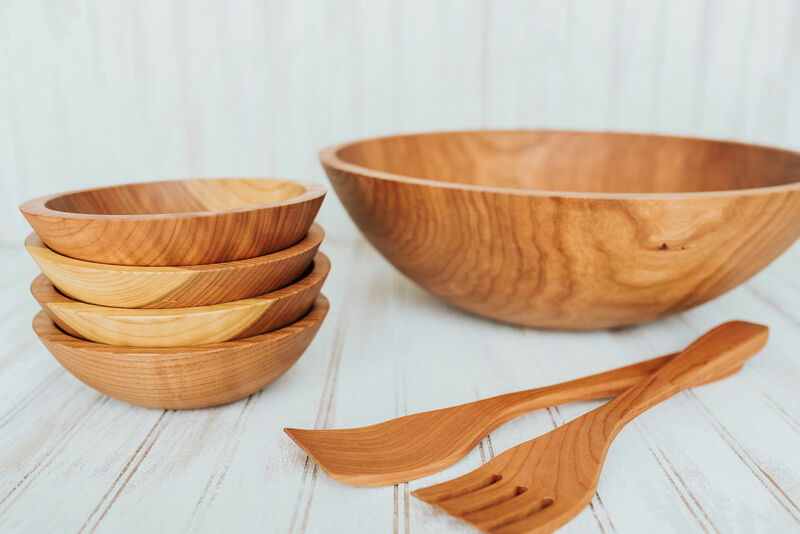 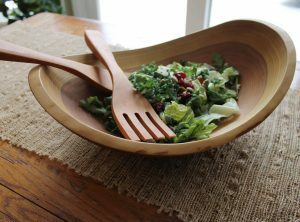 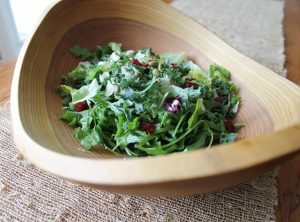 Each five (5) bowl Cherry serving set comes with a 17-inch serving bowl, four (4) 7-inch side salad bowls and a set of 14-inch servers.